Sign up for your free 1 month Gourmet Society discount card. It gives you discounts of up to 50% at loads of fantastic restaurants including Loch Fyne, Prezzo and more. 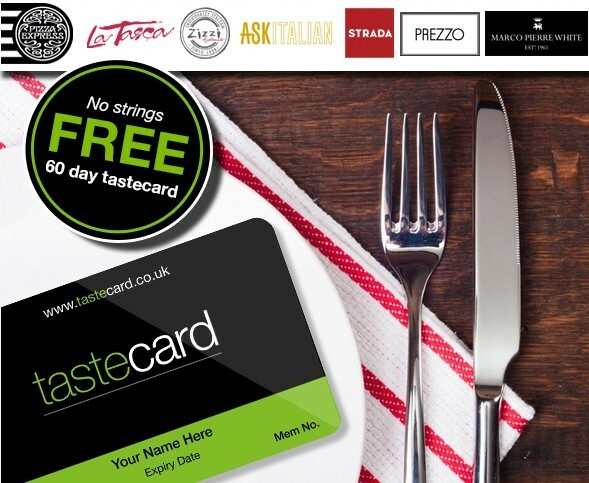 Get your hands on a free Tastecard - you can use them in all kinds of restaurants all around the UK to get half-price food. Fill in your details to get one!